mimi & mack: Surprise Sale!! It has warmed up to 12 degrees and snowflakes are floating down outside my window. The big flakes are lovely, but I'm already dreaming of warm spring sunshine and my favorite spot on earth -- the beach. My family has fallen madly in love with the white beaches and turquoise waters along 30A (but please don't go there because we fear it will become too crowded! ), and my favorite memories are digging in the warm sand with my children. When making this next item, all I could think about was the spring I was pregnant with Mack and Mimi was a silly little toddler walking up and down the beach like a penguin. This was when I first began sewing and I so wish I had begun before this time so that I could have packed this dress in her little suitcase for the beach . . .
A sweet little flutter sleeve . . . The pastel colors make me dream of the pretty sun-bleached homes in Seaside and Grayton Beach . . .
How precious is that trim peeking out at the bottom? My other favorite part -- the big wooden button in the back. One nice part about this outfit is that the neck is large enough to put on your little one without fussing with a button. *HOW TO MAKE THIS YOURS . . . The dress is 16" long and measures 21" across the chest. The bloomers will fit a waist size 17"-20". One of a kind!! 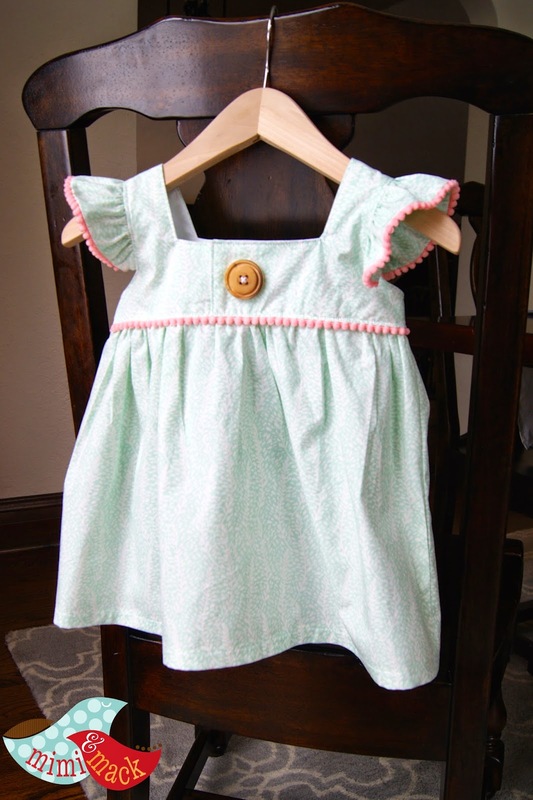 Your sweet little one will be the only child in this exact dress! 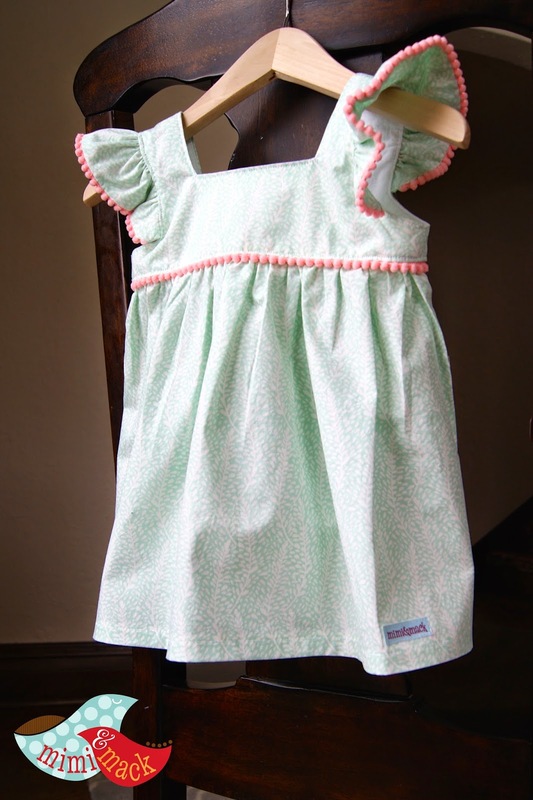 And, please, for the love, promise me you'll snap some photos of your little one wearing this dress on a beach somewhere! Can you please make this in 2t? Omg so very gorgeous! You are cute :). I would love to see this dress on a SoCal beach! I cannot remake this exact dress but will make something similar in a few weeks. I normally sell on mimimack.bigcartel.com, so you don't have to be a Facebooker! You can subscribe/follow this blog for updates of new items. Thank you!! !